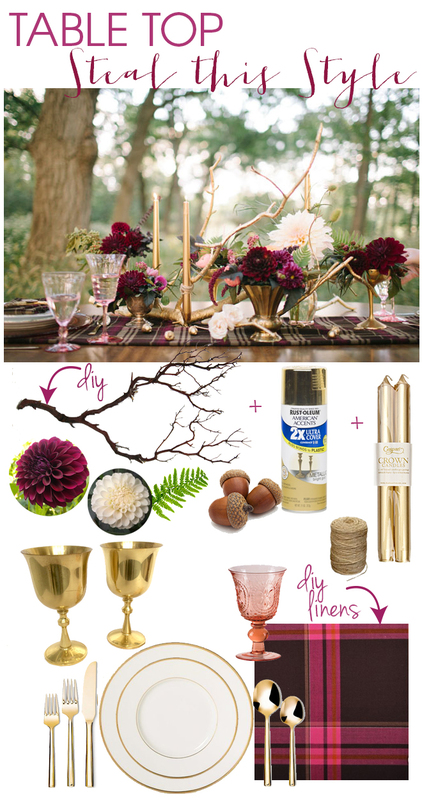 Recreate this fabulous fall table with a few simple DIY projects! This week marked the first day of fall and it’s officially my favorite time of year! The air feels crisp, the leaves are looking mighty fine and you have permission to chow down on doughnuts and cider any, and every weekend! 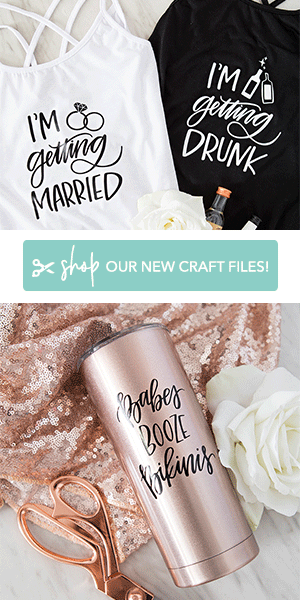 It’s Lauren from I Love Love Events back again with an DIY-filled, budget fall tablescape that looks like a million bucks and is achievable for an intimate party, Thanksgiving dinner or your grand fall wedding! If you’re handy with a sewing machine and you can hold a spray paint can, you can make this look happen. 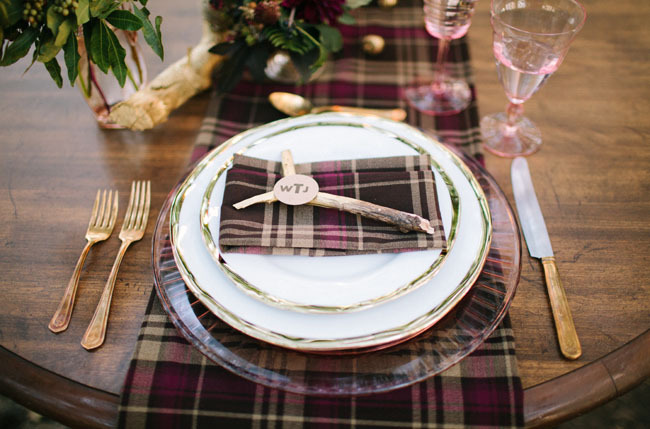 First, the base for this table, the plaid runner. 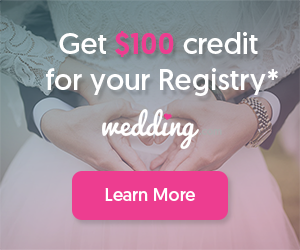 Runners are a simple, cost effective way to completely change the feel of your table. 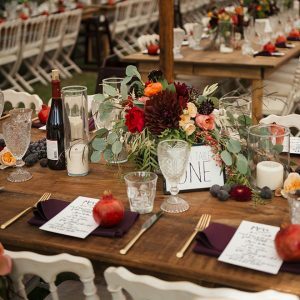 Simply buy enough fabric yardage to run the length of your table and at least an extra foot at each end, more for a dramatic look, but you won’t want to go over board if you have guests sitting at the ends. Then, cut the fabric to the width you’d like, plus 2″, 1″ seam allowance on each side. Then fold the edges under 1/2″, and iron and then fold them under again, iron, pin and sew! And that’s it! And, don’t worry, if you don’t have a sewing machine, you can still make this work, all you’ll need is fusible hem tape, like this one, the runners just may not be as durable. Even easier than the runners, is the gold DIY branch candelabra. 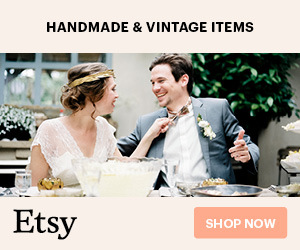 Forage for a branch in your backyard or on the ground at your local park, spray paint it gold and attach candles to it using twine, and you’ve created a dramatic fall centerpiece. Add some gold spray painted acorns to complete the look. 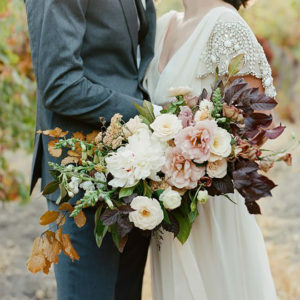 Branch details are a really great way to save a few bucks, then can make a statement in lieu of flowers. 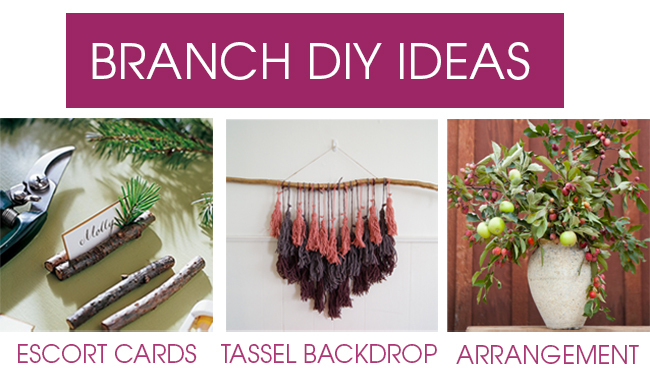 Here are three more branch-based DIYs that are perfect for fall!